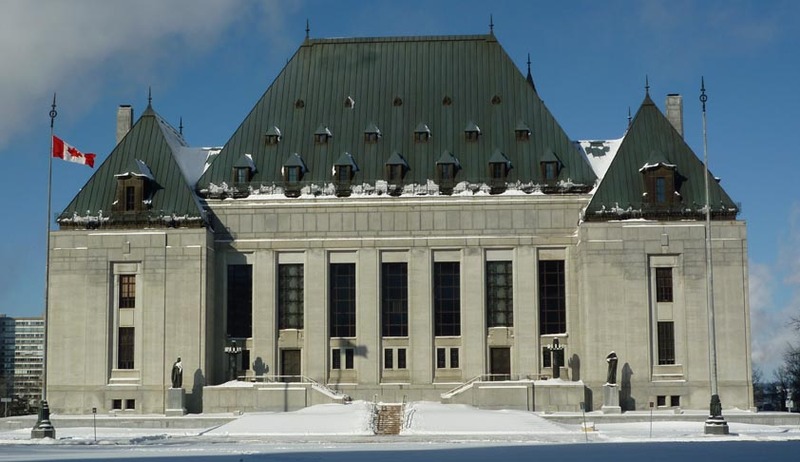 Supreme Court of Canada, in yet another judgment giving relief to Tamil Migrants to Canada, has held that the rejection of application for humanitarian and compassionate relief under s. 25(1) of the Immigration and Refugee Protection Act to a Tamil teen, who migrated to the country, fearing persecution in his native land, is illegal. The court said that the words “unusual and undeserved or disproportionate hardship” used in guidelines, should be seen as instructive but not determinative, allowing s. 25(1) to respond more flexibly to the equitable goals of the provision. Jeyakannan Kanthasamy, a 16 year old Tamil from northern Sri Lanka, fearing for his safety in Sri Lanka, arrived in Canada to live with his uncle. The Immigration and Refugee Board refused his claim for refugee status in February 2011, concluding that the authorities in Sri Lanka had taken steps to improve the situation of Tamils. Later he applied for a pre-removal risk assessment, which determines whether an applicant can safely be removed from Canada, which was also rejected as the immigration officer concluded the treatment against Tamils did not rise to the level of persecution. His application for humanitarian and compassionate relief under s. 25(1) of the Immigration and Refugee Protection Act, seeking to apply for permanent resident status from within Canada, was also reject on the reasoning that the officer is not satisfied that return to Sri Lanka would result in hardship that is “unusual and undeserved or disproportionate”.The boy challenged these rejection orders before Federal court and the Federal court of Appeal, which found that that the Officer’s decision to deny relief was reasonable, in accordance with the guidelines. Finally he approached the Supreme Court. The court said that a decision under s. 25(1) will therefore be found to be unreasonable if the interests of children affected by the decision are not sufficiently considered.At no point did the Officer appear to turn her mind to how his status as a child affected the evaluation of the other evidence raised in his application. Instead, she atomized her evaluation of each of the other elements of his application, referring to his status as a child only in isolation, the court observed. The Officer had required the boy to present direct evidence that he would face such a risk of discrimination if deported. The court said that this view not only “undermines the humanitarian purpose of s. 25(1), but also reflects an anaemic view of discrimination that this Court largely eschewed decades ago”. The court also held that the applicants need only show that they would likely be affected by adverse conditions such as discrimination and evidence of discrimination experienced by others who share the applicant’s identity is therefore clearly relevant under s. 25(1), whether or not the applicant has evidence of being personally targeted, and reasonable inferences can be drawn from those experiences. The officer had rejected the report of psychologist who examined the boy that, his mental health would likely worsen if he were to be removed to Sri Lanka, stating that the medical opinion “rested mainly on hearsay” because the psychologist was “not a witness of the events that led to the anxiety experienced by the applicant”. On this approach, the court said “Only rarely will a mental health professional personally witness the events for which a patient seeks professional assistance. To suggest that applicants for relief on humanitarian and compassionate grounds may only file expert reports from professionals who have witnessed the facts or events underlying their findings, is unrealistic and results in the absence of significant evidence. In any event, a psychologist need not be an expert on country conditions in a particular country to provide expert information about the probable psychological effect of removal from Canada.” The court also added that the fact that K’s mental health would likely worsen if he were to be removed to Sri Lanka is a relevant consideration that must be identified and weighed regardless of whether there is treatment available in Sri Lanka to help treat his condition.